If you saw my post about 60+ of the Best Christmas movies, you will understand that I am obsessed with them. The Mr. and I start the DVR and pull out our favorites on DVD and get watching all season long. One of my childhood favorites is The Santa Clause, which inspired me to share this family favorite hot chocolate mix recipe. Do you remember the scene when Judy the elf brings in Scott Calvin a drink of Hot Chocolate. “Not to hot. Extra chocolate. Shaken, not stirred.” Yep I’m trying to get there, but I don’t 1200 years to perfect it like she did. I think I’ve come pretty close though. 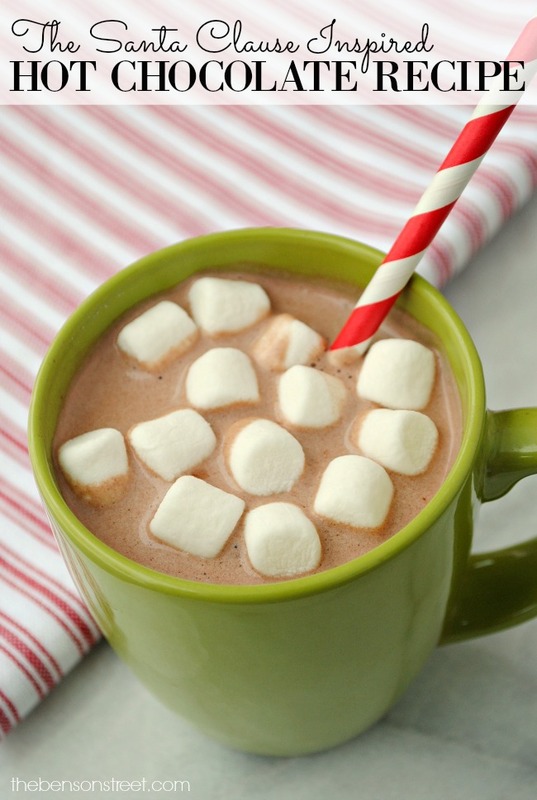 This Hot Cocoa or Hot Chocolate mix is perfect to mix up and share. Gift it or just keep it all for yourself. Yummy. I do like to shake mine in a drink shaker to incorporate the hot chocolate mix way better than using only a spoon. 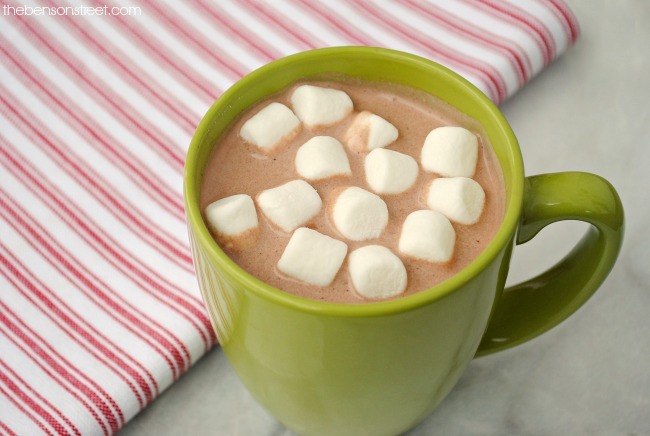 Or use a Hot Chocolate Maker to whip up this recipe. Either way it will be delicious. What is your favorite Christmas movie??? 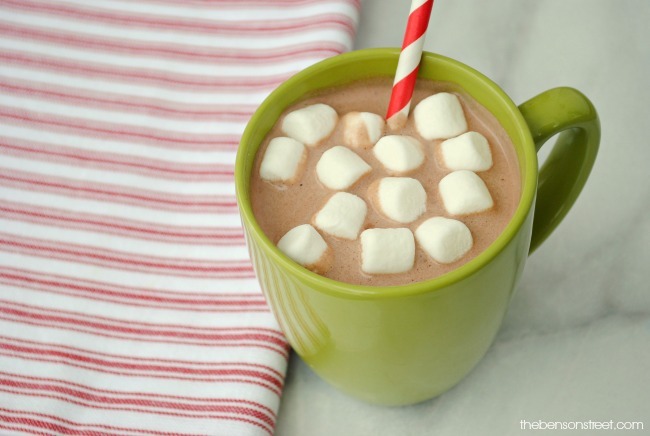 A simple mix for making Hot Chocolate inspired by The Santa Clause. Stir together all but the optional ingredients together in a large bowl. Mix (shaking is better than stirring) 1/3 to 1/2 cup with 1 cup of hot water. 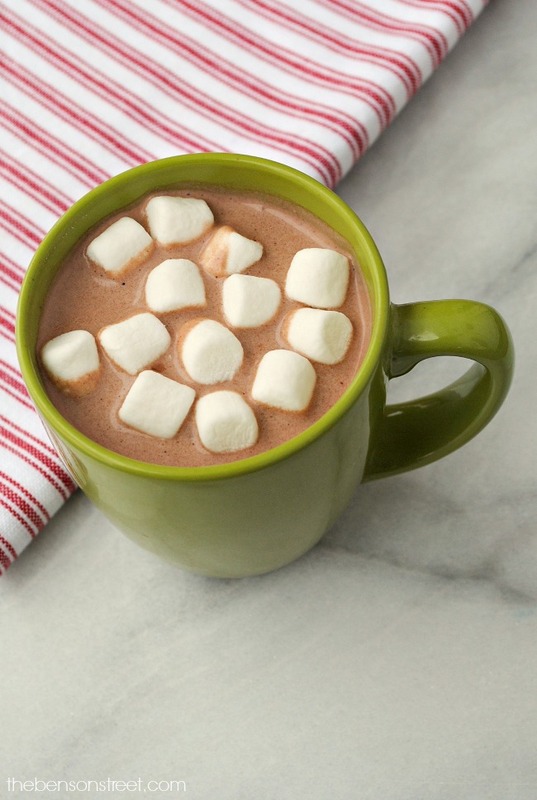 Stir in optional ingredients for an even better cup of hot chocolate. Garnish with chocolate chips, marshmallows, whip cream, and or crushed candy canes. 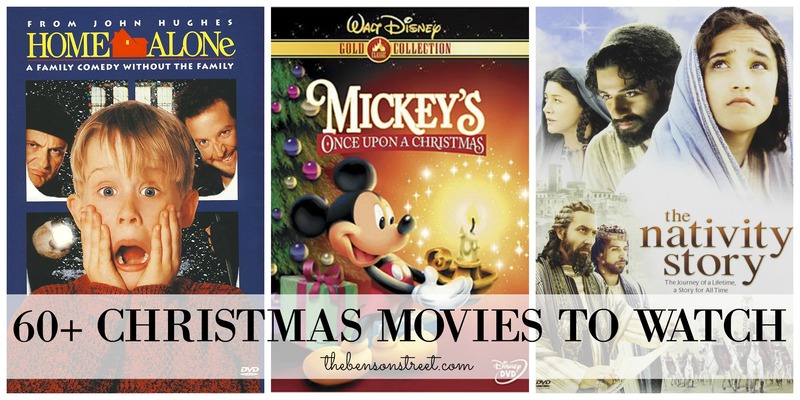 See more Classic Christmas Movie Ideas below but, also check out these 60+ Christmas Movies (in case you need more movie ideas)! Who is ready for some more Classic Christmas Movie fun? !